Annual tuition and board for elite New York University totals $69,984 for the 2018-2019 academic year, without even accounting for books, travel and personal expenses. which puts it at No 30 among US universities for 2018. While the US remains the world’s most popular destination for international students, it’s also among the most expensive choices. Raising tuition for international students has, until now, been a straightforward way to pay for big US university budgets. But it seems that some foreign students have finally had enough. According to the Institute of International Education, 109,000 international students enrolled as first-time undergraduates in 2017, a decline of 7,000. That marks the second straight year of declining new international enrollment at US institutions. Braingainmag.com reported earlier this month on the findings of the Open Doors 2018 survey and found that while the overall numbers of international students have increased to more than one million, new student enrollments fell by 6.6 percent in 2017/18. The decrease was especially marked in graduates and students opting for non-degree programs. A continued trend from the 2017 fall enrollment survey, this was first observed in the 2015/16 academic year. The real reason international students are “shunning US colleges” is not the “Trump effect” but a massive spike in tuition and fees. “In 2016, the typical foreign student attending a selective American college paid $23,500 in tuition and fees, more than three times the price a US citizen paid,” noted Forbes. While tuition for foreign students has risen for the last two decades, the spike over the last four years has been particularly dramatic. “Tuition for international students increased by nearly $5,000 since 2012, while tuition for Americans went up only $450,” added the US magazine. This is the University of Washington’s new math: 18% of its freshmen come from abroad, mostly from India and China. "Each pays tuition of $28,059, about three times as much as students from Washington State. And that, according to the dean of admissions, is how low-income Washingtonians — more than a quarter of the class — get a free ride," reported "The New York Times." The cost of studying at America’s more prestigious universities can be particularly intimidating for students and their parents. New York University, with its main campus in Manhattan's Greenwich Village charges a whopping $51,828 per year in tuition, a figure that is slightly higher or lower contingent on the college attended. When you add in room, board and other fees at $18,156, the annual price of going to NYU is $69,984 for the 2018 to 2019 academic year. Over and above this, students still have to find the money for books, transportation, and personal expenses. According to Investopedia, an average budget at a private college works out to roughly $50,900. NYU can charge higher prices because it is ranked high in surveys. For example, US News & World Report ranks NYU which is at the heart of Manhattan at No 30 among US universities for 2018. It also has a brainy student body, with a composite SAT score average of 1410 in 2016. Colleges with the highest published prices —Columbia University, University of Chicago and Vassar College —are among highly selective four-year institutions. These institutions charge more than $56,000 for their sticker price, but many students pay less than this amount to attend, reported US News & World Report once financial aid and institutional grants are factored into the bill. 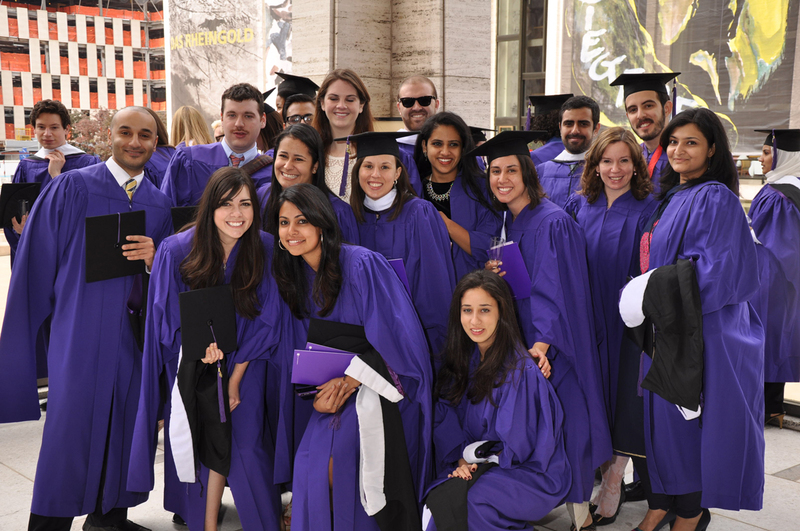 Here’s some research to soften the sticker shock price of a New York University education. According to the 2018 to 2019 College Salary Report from the data firm PayScale, the median career salary for an alum with just a four-year degree is $61,000, and the median early career salary at NYU is $60,800 reaching $120,700 at mid-career. "Highly Selective US Colleges have a Holistic Admissions Process"